We want you to love your CalculatorPro.com purchase. If you are not happy for any reason, then we want to know about it. 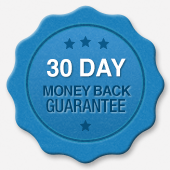 Let us know within 30 days of your purchase, and we will give you a full refund. No hassle, no fuss.